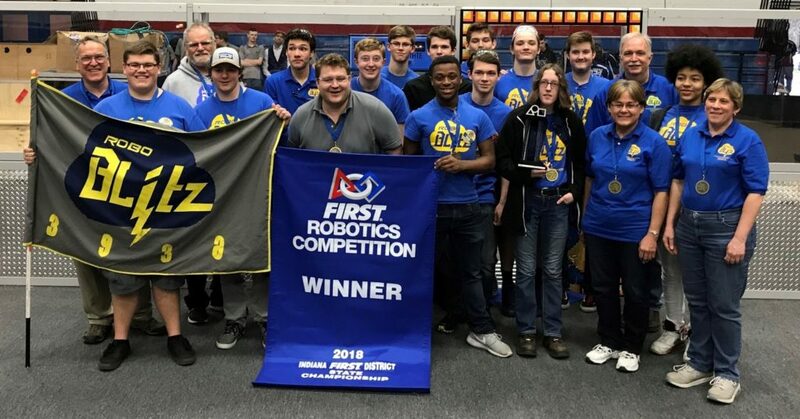 MICHIGAN CITY, INDIANA (April15, 2018) – Safe Harbor’s Michigan City High School Robotics Team, the RoboBlitz, were crowned state champs on Saturday. The RoboBlitz were part of a three-team alliance that won the FIRST (For Inspiration & Recognition of Science & Technology) Robotics 2018 State Championship Tournament held in Kokomo on April 14th and 15th. The RoboBlitz Alliance breezed through the Quarterfinal and Semifinal best-of-three matches going undefeated and entered the Finals as the higher seeded Alliance and favorite. But a drive motor voltage spike caused a disruption with one of the Alliance robots and the RoboBlitz Alliance lost the first match of the Finals by a score of 377 to 293. This forced the RoboBlitz Alliance to have to win the next two matches to win the State Championship. Facing elimination, they won the final two matches by scores of 339 to 266 and 353 to 192. The RoboBlitz Lab Open House will be held on Thursday evening from 5:00 to 7:00 p.m. at the A.K. Smith Center, 817 Lafayette Street. The RoboBlitz has been in existence since 2011 and this is the first State Championship won by the RoboBlitz since the championship began in 2015. 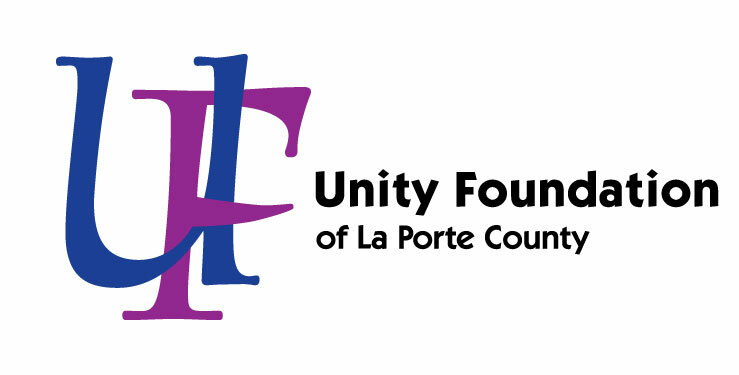 Game Description: Since January 6, 2018 Safe Harbor’s Michigan City FIRST Team 3936 “RoboBlitz” has been working on a robot to compete in this year’s game, “Power Up.” Robots compete on a basketball court sized field in alliances of 3. This game is a 1980’s arcade game themed game. The robots have to pick up cubes and deliver them to one of 3 scales or to the “power up” station. Robots are both autonomous and tele-operated by students in 2 ½ minute matches. FIRST Description: Combining the excitement of sport with the rigors of science and technology. We call FIRST Robotics Competition the ultimate Sport for the Mind. High-school student participants call it “the hardest fun you’ll ever have.” Under strict rules, limited resources, and an intense six-week time limit, teams of students are challenged to raise funds, design a team “brand,” hone teamwork skills, and build and program industrial-size robots to play a difficult field game against like-minded competitors. It’s as close to real-world engineering as a student can get. Volunteer professional mentors lend their time and talents to guide each team.